Clash Royale Clan Battle - Live 4/21/17 - 4/24/17. What’s up readers. 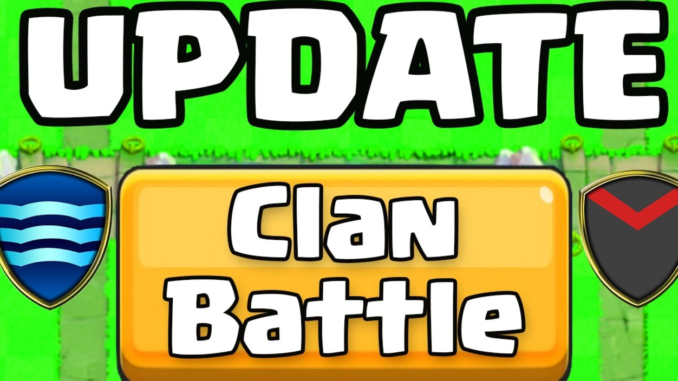 It’s your boy Nojical again and just wanted to remind you guys that clan battle is now live and will run from April 21 – 24. Clan battle was rolled out a few weeks ago and received very positive feedback from the Clash Royale community. The clan battle is essentially a 2 vs 2 battle where each player has their own elixir. You will work with your partner to destroy their crown tower and earn trophies towards the clan battle chests. The more clan battle trophies you receive as a clan, the better the cards. Personally, I believe that both players need to stock plenty of magic cards such as poison, fireball or rocket. The reason is because you will see that there are many games that you may lose if you did not stock one of those cards. 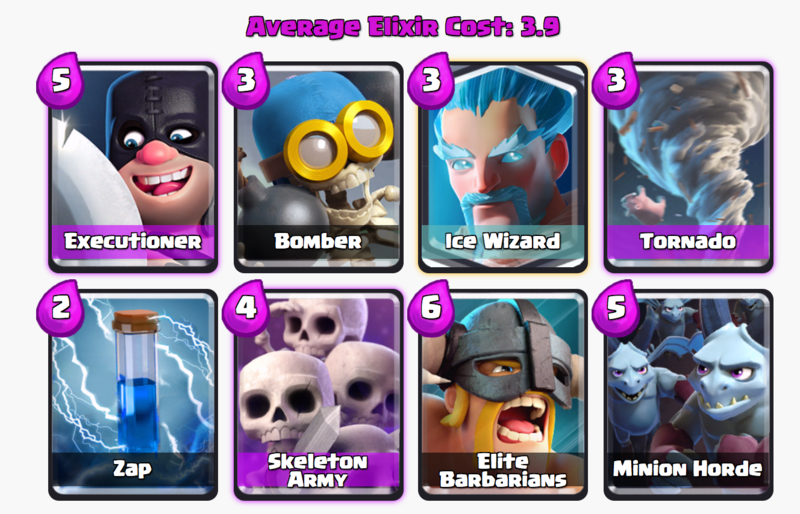 We also recommend to use cards that have AOE damage such as wizard, bomb tower, witch, tornado, etc. AOE is extremely important in clan battles to help clear the waves of enemy units. You must also learn to communicate with your teammate to avoid casting duplicating spells to counter the same units (i.e. double zap). While this is extremely difficult to do, unless you are sitting next to them or using Skype (or other programs), it may be the difference between winning and losing the game. Pay attention to your ally’s card preview and where they are placing the cards. 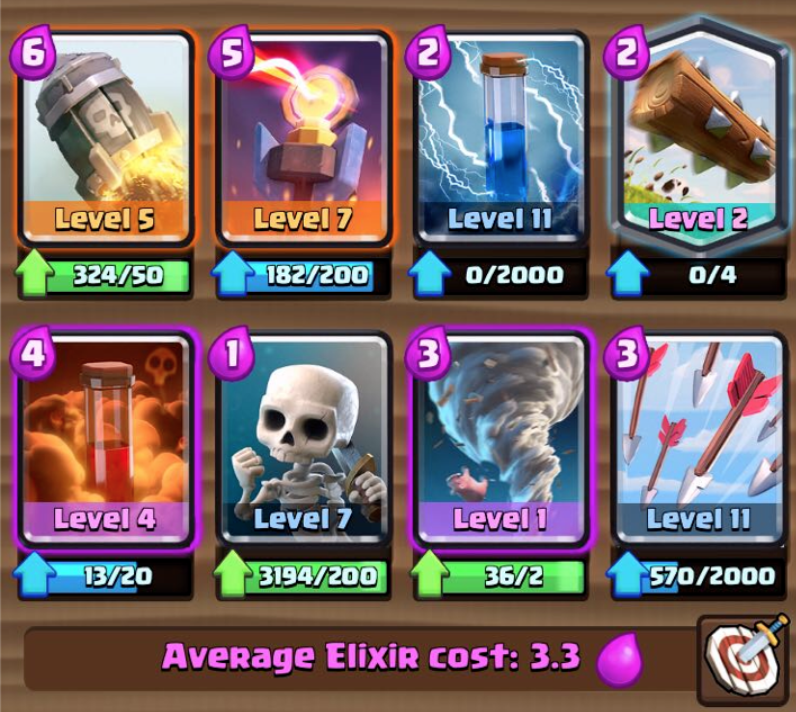 This is probably the most annoying/best support deck to play in Clan Battle. Your job is to basically play defense and allow your teammate to push. It has been extremely effective from an anecdotal point of view.